Our 3D printer (Dremel 3D20) was a bargain, because bits were missing. After five emails to Dremel support, and various phone calls, I eventually found a supplier who was willing to order the spare parts that I need – mainly the spool lock so that the spool of special Dremel PLA will rotate freely. Using some of the spare filament that my dad gave me, I attempted to print a small box. This box has feet, so the area touching the build plate is relatively small, and the bottom of the box is off the ground. 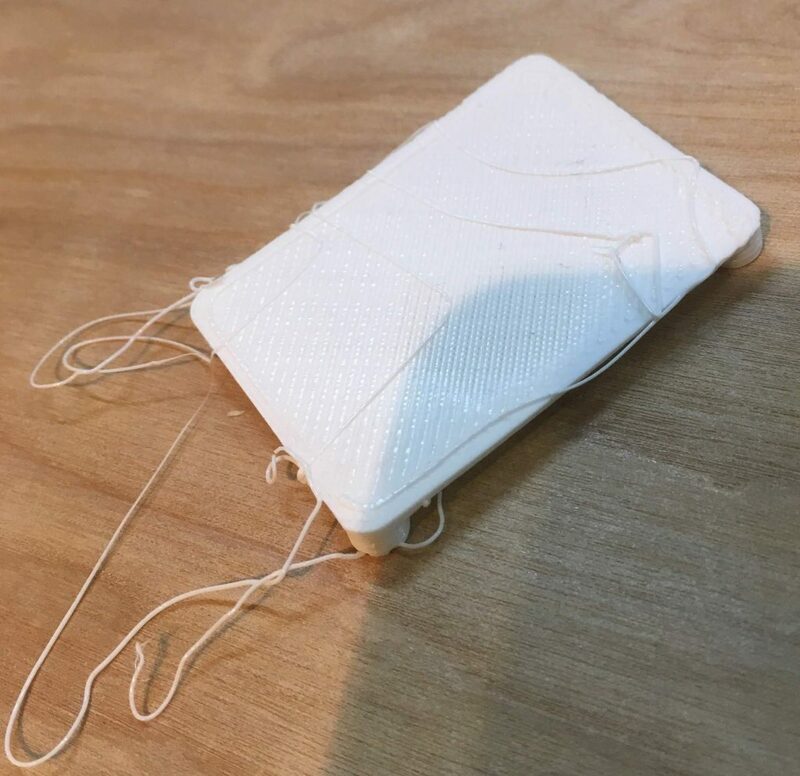 After about 15 minutes, the printer had created a stringy mess and had pushed the model sideways on the build plate … and was now attempting to add fresh filament on top of empty space. 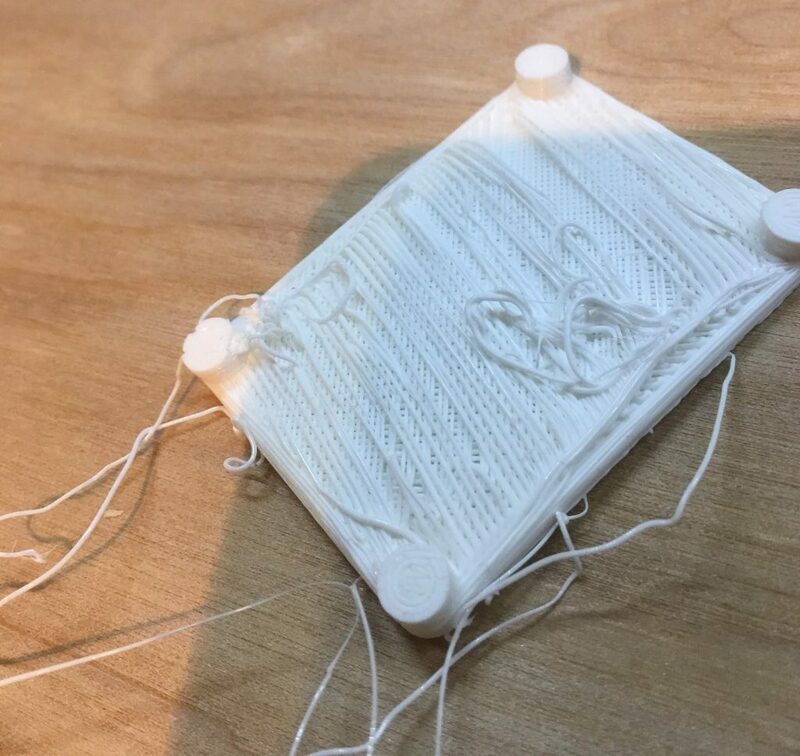 A stringy mess – after the print head nudged the model out the way and tried to print filament on empty space. Underneath – another stringy mess. Apparently there is software that can add supports to overhanging structures. The main lesson learned today is to add supports to the model before printing it. That’s a job for another day.